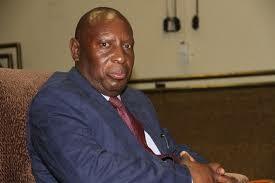 FORMER Energy and Power Development minister, Samuel Undenge, has been acquitted on a charge of failing to provide for the upkeep of his 18-year-old son. The ex-minister had been dragged to court by his former wife, Angeline, for accumulating R226 805 in child maintenance arrears, before his acquittal by Harare magistrate Annie Ndiraya, yesterday. The ruling came after Undenge (62), through his lawyer Alec Muchadehama applied for discharge arguing that the charges raised by the State did not disclose an offence. Muchadehama said the order compelling Undenge to pay maintenance lapsed on March 31, 2014. He further said there was no need for the matter to be made criminal since Undenge only stopped paying maintenance after approaching the Civil Court advising that his son was now an adult. Ndiraya upheld the application, saying there was indeed no order compelling Undenge to pay maintenance. “The application to extend maintenance order period after the child had turned 18 was dismissed by on March 26, 2014. It is also this court’s view that there is no legal order in existence to still compel the accused to pay the maintenance,” Ndiraya said.